Marks & Spencer has selected RLM Finsbury to handle its financial PR, PRWeek can reveal. M&S today confirmed the appointment of Roland Rudd’s City agency, which will begin working with the iconic high street brand this week. The appointment follows M&S’ split with former eight-year incumbent Tulchan Communications in February. 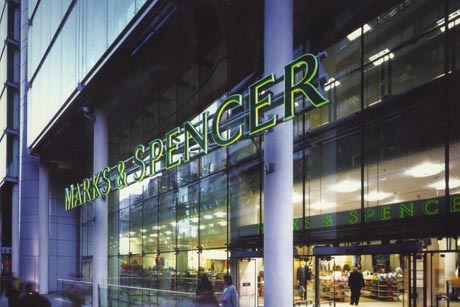 It is understood that M&S has held discussions with a number of top City names, but that Finsbury was appointed without an official competitive pitch process taking place. Rudd himself will lead the Finsbury team working on the account, reporting to Dominic Fry, the retailer’s director of comms and investor relations, who joined from Tulchan in 2009. The news comes days after M&S released a trading update for the first three months of 2013, in which it revealed that strong trading from its food business had offset weakness in clothing sales. The M&S in-house comms team handled media and investor relations around the trading update. A number of City sources had previously suggested that RLM Finsbury was likely to be conflicted out of the M&S account due to its work with J Sainsbury. However, PRWeek understands that M&S did not view supermarket clients as direct conflicts and that Brunswick had been conflicted out of the process due to taking on Debenhams last year, rather than the Tesco brief it also won in 2012. RLM Finsbury declined to comment and M&S did not comment other than to confirm the appointment. The review of M&S' financial PR requirements came after the retailer was forced to release its Christmas trading update early after its contents were leaked to the media the evening before its planned announcement in January. Tulchan founder Andrew Grant said at the time that he had been assured that the review was not linked to the leaked announcement. The market’s response to last week’s M&S trading update was largely positive, with shares rising four per cent on the back of beating analysts’ expectations. However, chief executive Marc Bolland, who took the helm from Sir Stuart Rose in mid-2010, has come under increasing pressure to address the retailer’s slide in clothing sales. Some investors, such as Standard Life, have publicly voiced concern over M&S’ slow progress in turning around falling profits.